Did You Know? 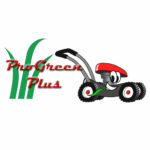 The Center Shape of Some Lawn Mower Blades is Trademarked - ProGreen Plus | Knoxville, TN | Lawn Mower Parts | Riding Lawn Mower Parts | ServiceProGreen Plus | Knoxville, TN | Lawn Mower Parts | Riding Lawn Mower Parts | Service | We've Got Your GRASS Covered! Did you know that the center hole shape of most lawn mower blades is proprietary? Aftermarket manufacturers of lawn mower blades cannot use the shape that is used on the OEM part. Therefore, they have to create their own design that works with the OEM blade spindle. AYP / Craftsman / Sears / Husqvarna / John Deere typically uses a five-pointed star shape for their blade center hole. MTD / Troy Bilt / Toro / Cub Cadet / Yard Machines uses a six-pointed star shape for their blade center hole for riding mower blades and often use a “bow-tie” shape center hole for their push mower blades. How do the aftermarket manufacturers stack up? Check out the video below to see how they do it.